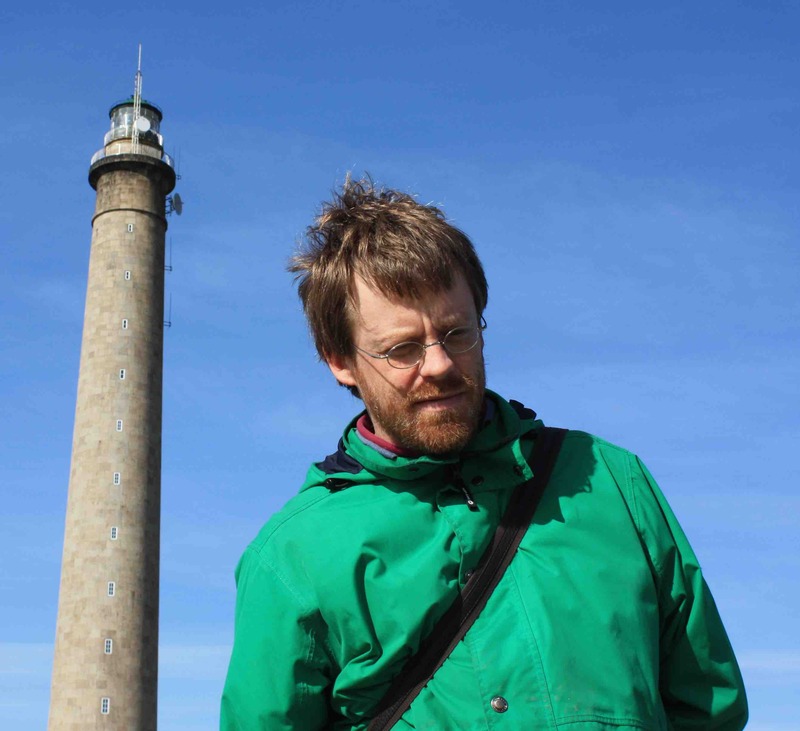 I am currently researcher at CERMICS and professor at the Ecole des Ponts ParisTech. I am a member of the Molecular and Multiscale Modelling group at CERMICS and of the Matherials project-team at INRIA. I am the coordinator of the ERC project MSMath. Here is my cv (pdf). I defended my habilitation thesis on 3rd June 2009 (abstract, manuscript). Title: Mathematical and numerical analysis of some models for materials, from the microscopic scale to the macroscopic scale. 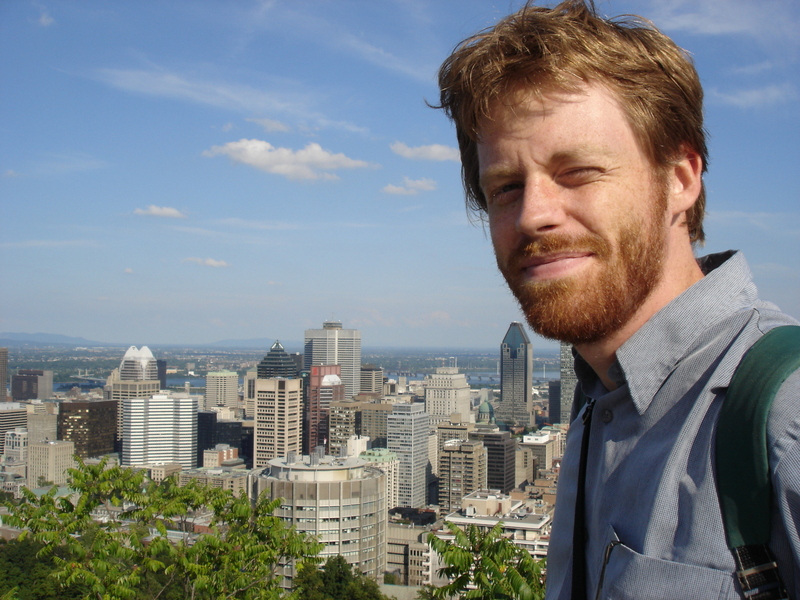 During year 2004-2005, I had a post-doc position at the Centre de Recherches Mathématiques at the University of Montreal, in the context of a special year about the Mathematics of Stochastic and Multiscale Modeling. I defended my PhD thesis on 21st June 2004 (abstract, manuscript). Title: Multiscale models for viscoelastic fluids. PhD supervisors: Benjamin Jourdain and Claude Le Bris. Micro-macro models for viscoelastic fluids (dumbbell model, CONNFFESSIT method, variance reduction methods, entropy estimates). Free surface flow and magnetohydrodynamics. Application to the simulation of aluminium electrolysis cells (Arbitrary Lagrangian Eulerian method, moving contact line problem). Molecular simulation (molecular dynamics, constrained dynamics, adaptive methods, Quantum Monte Carlo methods, Adaptive Multilevel Splitting, Accelerated Molecular Dynamics). In charge of the projects "Modéliser, Programmer, Simuler"
CEMRACS 2008: Multiscale modelling of complex fluids: a mathematical initiation slides, lecture notes. Ecole doctorale ECODOQUI 2008: Monte Carlo methods in molecular dynamics slides, lecture notes (in French). Workshop Stress tensor effects on fluid mechanics, China, 2010: Multiscale modelling of complex fluids: a mathematical initiation, slides, lecture notes. Cornell University: Free energy calculations, slides. IPAM tutorial, 2012: Monte Carlo methods in molecular dynamics part 1 part 2. ICMS tutorial, 2014: Numerical methods in molecular dynamics, or what is a metastable stochastic process ? pdf. Computational Toolbox Winterschool 2016, Engelberg: Numerical methods in molecular dynamics, part 1 part 2. GDR Egrin, 4ème école, Mai 2016: Model reduction techniques for stochastic dynamics, pdf. RICAM school, December 2016, Linz: SDEs in large dimension and numerical methods, part 1 part 2. INRIA (la demi-heure de science), 8th November 2012 : Méthodes numériques en dynamique moléculaire (in French). Horizons Maths 2012, 19th December 2012 : Méthodes numériques en dynamique moléculaire (in French). Collège de France, 9th January 2015 : Processus stochastiques métastables et distributions quasi-stationnaires (in French). HIM, 29th January 2015 : Optimal scaling for the transient phase of Metropolis Hastings algorithms. BIRS, 24th July 2015 : Accelerated dynamics. Newton Institute, 3rd December 2015: The parallel replica algorithm: mathematical foundations and recent developments. Université de Genève, 1st February 2017: Accelerated dynamics and transition state theory. ICTS, August 2017 : Algorithms for computational statistical physics: a mathematical viewpoint part 1, part 2. IPAM, 16th octobre 2017: Metastability: a journey from stochastic processes to semiclassical analysis . Workshop "Numerical methods in molecular simulation", Bonn, April 7-11th 2008. Workshop "Rheology of complex fluids: modeling and numerics", Ecole des Ponts, January 5-9th 2009. Workshop "Hybrid simulations of dynamical systems and applications to molecular dynamics", Institut Henri Poincaré, 27 septembre - 30 septembre 2010. Minisymposium "Numerical Methods for Molecular Dynamics", ENUMATH 2011 conference, September 5-9th 2011, slides. Workshop "Metastability and stochastic processes", Ecole des Ponts, September 21st-23rd 2011. CECAM workshop "Free energy calculations: From theory to applications", Ecole des Ponts, June 4th-8th 2012: CECAM webpage, local webpage. CEMRACS 2013: Modelling and simulation of complex systems: stochastic and deterministic approaches. Co-organized with Nicolas Champagnat and Anthony Nouy. The proceedings are available here. NASPDE 2013 : Numerical Analysis of Stochastic PDEs, 10 et 11 septembre 2013. Co-organized with Jocelyne Erhel and Erwan Faou. Journées SMAI/INRIA EDP-Proba,2013-2018, Co-organized with Florent Malrieu. Workshop "Numerical methods for high-dimensional problems". Ecole des Ponts, April 14-18th 2014. Co-organized with Virginie Ehrlacher, Yvon Maday and Anthony Nouy. Journées Inverse problems for multiscale and stochastic problems, Ecole des Ponts, October 2-3rd 2014. Co-organized with Virginie Ehrlacher, Frédéric Legoll and Karam Sab. MoMaS'14 conference. CIRM, November 17-20th. Co-organized with Grégoire Allaire, Clément Cancès, Alexandre Ern and Raphaèle Herbin. Free-energy calculations: A mathematical perspective, BIRS, Casa Matemática Oaxaca, Mexico, July 19-24th, 2015. Co-organized with Chris Chipot and Robert Skeel. Workshop "COmputational Statistics and MOlecular Simulation", Paris, February 2-5th, 2016. Co-organized with Arnaud Guyader and Gabriel Stoltz. IHP conference on "Recent developments in numerical methods for model reduction", November 7-10th, 2016. Co-organized with Simona Perotto and Gianluigi Rozza. Workshop "Piecewise Deterministic Markov Processes and sampling", January 25-27th, 2017. Co-organized with Florent Malrieu and Pierre-André Zitt. Maths/industry workshop on molecular simulation for pharmaceutical industry, April 28th 2017. Co-organized with Chris Chipot and Gabriel Stoltz. FoCM 2017, Stochastic Computation Workshop, July 10th-12th, 2017. Co-organized with Arnulf Jentzen. IPAM Long Program on "Complex High-Dimensional Energy Landscapes", September 11th - December 15th 2017. Co-organized with Cecilia Clementi, Graeme Henkelman, Richard Hennig, Mitchell Luskin, Noa Marom, Petr Plechac and Christof Schuette. ICTS program on "Large deviation theory in statistical physics: Recent advances and future challenges", August 14th - October 13th 2017. Co-organized with Arvind Ayyer, Frank den Hollander, Abhishek Dhar, Juan P. Garrahan, Christopher Jarzynski, Manjunath Krishnapur, Sanjib Sabhapandit and Hugo Touchette. Workshop "Advances in Computational Statistical Physics", CIRM, September 17th-21st, 2018. Co-organized with Gabriel Stoltz and Greg Pavliotis. Link to videos. CECAM discussion meeting "Coarse-graining with Machine Learning in molecular dynamics". Sanofi Campus Gentilly, December 4-8th, 2018. Co-organized with Paraskevi Gkeka, Pierre Monmarché and Gabriel Stoltz. CECAM workshop "Learning the collective variables of biomolecular processes". INRIA Paris July 10-12th, 2019, Co-organized with Lucie Delemotte, Jérôme Hénin and Gerhard Stock. Jean-Frédéric Gerbeau, Claude Le Bris and I have received the Prix CS 2002 of the company Communications & Systèmes for our work about the numerical simulation of aluminium electrolysis cells (pdf). Ecole Nationale des Ponts et Chaussées PhD prize, 2004. Alcan Prize of the French Academy of Science, 2010. Ordway visiting professor 2012-2013, University of Minnesota. Co-editor in chief of ESAIM: Proceedings and Surveys, with Djalil Chafai, Cyril Imbert and Pauline Lafitte. Member of the editorial board of SIAM/ASA Journal of Uncertainty Quantification (JUQ). Member of the editorial board of IMA Journal of Numerical Analysis. Member of the editorial board of Communications in Mathematical Sciences. Membre of the editorial board of Journal of Computational Physics. 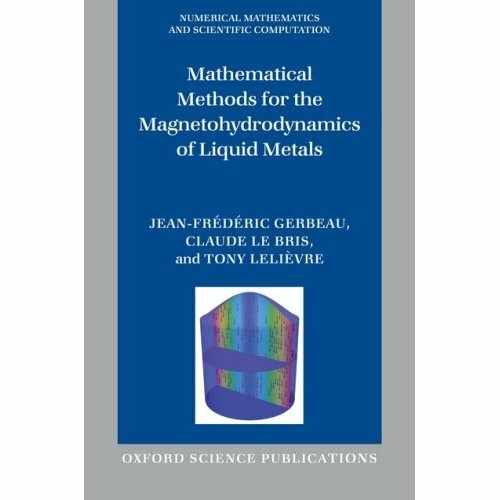 (with J-F. Gerbeau and C. Le Bris) Mathematical methods for the Magnetohydrodynamics of liquid metals, 324 pp., Numerical Mathematics and Scientific Computation, Oxford University Press, 2006. (with M. Rousset and G. Stoltz) Free energy computations: A mathematical perspective, 472 pp., Imperial College Press, 2010. (with B. Jourdain and C. Le Bris) Numerical analysis of micro-macro simulations of polymeric fluid flows: a simple case, Mathematical Models and Methods in Applied Sciences, 12(9), 1205-1243, (2002). (with J-F. Gerbeau and C. Le Bris) Simulations of MHD flows with moving interfaces, Journal of Computational Physics, 184, 163-191, (2003). (with J-F. Gerbeau and C. Le Bris) Modelling and simulation of the industrial production of aluminium: the nonlinear approach, Computers and Fluids, 33, 801-814, (2004). Optimal error estimate for the CONNFFESSIT approach in a simple case, Computers and Fluids, 33, 815-820, (2004). (with B. Jourdain and C. Le Bris) Existence of solution for a micro-macro model of polymeric fluid : the FENE model, Journal of Functional Analysis, 209, 162-193, (2004). (with B. Jourdain and C. Le Bris) On a variance reduction technique for micro-macro simulations of polymeric fluids, Journal of Non-Newtonian Fluid Mechanics, 122, 91-106, (2004). (with F. Dubois) Efficient pricing of Asian options by the PDE approach, Journal of Computational Finance, 8(2), 55-64, (2005). See also the program in C, implemented in Premia, and some first attempts on the subject (ps in French). (with J.P. Croisille, A. Ern et J. Proft) Analysis and simulation of a coupled hyperbolic/parabolic model problem, Journal of Numerical Mathematics, 13(2), 81-156, (2005). See also the reference solutions files. (with B. Jourdain and C. Le Bris) An elementary argument regarding the long-time behaviour of the solution to a stochastic differential equation, Annals of Craiova University, Mathematics and Computer Science series, 32, 39-47, (2005). (with B. Jourdain, C. Le Bris and F. Otto) Long-time asymptotics of a multiscale model for polymeric fluid flows, Archive for Rational Mechanics and Analysis, 181(1), 97-148, (2006). (with E. Cancès and B. Jourdain) Quantum Monte Carlo simulations of fermions. A mathematical analysis of the fixed-node approximation, Mathematical Models and Methods in Applied Sciences, 16(9), 1403-1440, (2006). (with M. Rousset and G. Stoltz) Computation of free energy differences through nonequilibrium stochastic dynamics: the reaction coordinate case, Journal of Computational Physics, 222(2), 624-643, (2007). (with M. Caffarel, E. Cancès, A. Scemama and G. Stoltz) An efficient sampling algorithm for Variational Monte Carlo, Journal of Chemical Physics, 125, 114105 (2006). (with G. Ciccotti and E. Vanden-Eijnden) Projection of diffusions on submanifolds: Application to mean force computation, Communications on Pure and Applied Mathematics, 61(3), 371-408, (2008). (with M. El Makrini and B. Jourdain) Diffusion Monte Carlo method: numerical analysis in a simple case, Mathematical Modelling and Numerical Analysis, 41(2), 189-213, (2007). (with M. Rousset and G. Stoltz) Computation of free energy profiles with parallel adaptive dynamics, Journal of Chemical Physics 126, 134111 (2007). (with A. Ern) Adaptive models for polymeric fluid flow simulation, C. R. Acad. Sci. Paris, Ser. I, 344(7), 473-476 (2007). (with D. Hu) New entropy estimates for the Oldroyd-B model, and related models, Communications in Mathematical Sciences 5(4), 909-916 (2007). (with C. Le Bris and E. Vanden-Eijnden) Analysis of some discretization schemes for constrained Stochastic Differential Equations, C. R. Acad. Sci. Paris, Ser. I, 346(7-8), 471-476 (2008). (with M. Rousset and G. Stoltz) Long-time convergence of an Adaptive Biasing Force method, Nonlinearity, 21, 1155-1181 (2008). (with E. Faou) Conservative stochastic differential equations: Mathematical and numerical analysis, Mathematics of Computation, 78, 2047-2074 (2009). (with J-F. Gerbeau) Generalized Navier Boundary Condition and Geometric Conservation Law for surface tension, Computer Methods in Applied Mechanics and Engineering, 198(5-8), 644-656, (2009). A general two-scale criteria for logarithmic Sobolev inequalities, Journal of Functional Analysis, 256(7), 2211-2221 (2009). (with S. Boyaval and C. Mangoubi) Free-energy-dissipative schemes for the Oldroyd-B model, Mathematical Modelling and Numerical Analysis, 43, 523-561, (2009). (with C. Le Bris and Y. Maday) Results and questions on a nonlinear approximation approach for solving high-dimensional partial differential equations, Constructive Approximation, 30(3), 621-651, (2009). (with S. Boyaval) A variance reduction method for parametrized stochastic differential equations using the reduced basis paradigm, Communications in Mathematical Sciences, 8(3), 735-762, (2010). (with B. Jourdain and R. Roux) Existence, uniqueness and convergence of a particle approximation for the Adaptive Biasing Force process, Mathematical Modelling and Numerical Analysis, 44, 831-865, (2010). (with C. Chipot and K. Minoukadeh) Potential of mean force calculations: a multiple-walker adaptive biasing force approach, Journal of Chemical Theory and Computation, 6(4), 1008-1017, (2010). (with S. Boyaval, C. Le Bris, Y. Maday, N.C. Nguyen and A.T. Patera) Reduced basis techniques for stochastic problems, Archives of Computational Methods in Engineering, 17(4), 435-454, (2010). (with B. Dickson, F. Legoll, G. Stoltz and P. Fleurat-Lessard) Free energy calculations: An efficient adaptive biasing potential method, Journal of Physical Chemistry B, 114, 5823-5830, (2010). (with X. Blanc, F. Legoll and C. Le Bris) Beyond multiscale and multiphysics: Multimaths for model coupling, Networks and Heterogeneous Media, 5(3), 423-460, (2010). (with V. Legat and G. Samaey) A numerical closure approach for kinetic models of polymeric fluids: exploring closure relations for FENE dumbbells, Computers and Fluids, 43, 119-133, (2011). (with F. Legoll) Effective dynamics using conditional expectations, Nonlinearity, 23, 2131-2163, (2010). (with F. Cérou, A. Guyader and D. Pommier) A multiple replica approach to simulate reactive trajectories, Journal of Chemical Physics 134, 054108, (2011). (with K. Minoukadeh) Long-time convergence of an Adaptive Biasing Force method : the bi-channel case, Archive for Rational Mechanics and Analysis, 202(1), 1-34, (2011). (with E. Cancès and V. Ehrlacher) Convergence of a greedy algorithm for high-dimensional convex nonlinear problems, Mathematical Models and Methods in Applied Sciences, 21(12), 2433-2467, (2011). (with N. Chopin and G. Stoltz) Free energy methods for Bayesian inference: efficient exploration of univariate Gaussian mixture posteriors, Statistics and Computing, 22(4), 897-916, (2012). (with C. Chipot) Enhanced sampling of multidimensional free-energy landscapes using adaptive biasing forces, SIAM Journal of Applied Mathematics, 71(5), 1673-1695, (2011). (with A. Ern and R. Joubaud) Numerical study of a thin liquid film flowing down an inclined wavy plane, Physica D, 240(21), 1714-1723, (2011). (with M. Rousset and G. Stoltz) Langevin dynamics with constraints and computation of free energy differences, Mathematics of Computation, 81(280), 2071-2125, (2012). (with L. He and C. Le Bris) Periodic long-time behaviour for an approximate model of nematic polymers, Kinetic and Related Models, 5(2), 357-382, (2012). (with A. Ern and R. Joubaud) Mathematical study of non-ideal electrostatic correlations in equilibrium electrolytes, Nonlinearity 25, 1635-1652, (2012). (with C. Le Bris, M. Luskin and D. Perez) A mathematical formalization of the parallel replica dynamics, Monte Carlo Methods and Applications, 18(2), 119–146, (2012). (with D. Benoit, L. He and C. Le Bris) Mathematical analysis of a one-dimensional model for an aging fluid, Mathematical Models and Methods in Applied Sciences, 23(9), 1561-1602, (2013). (with M. Dobson, F. Legoll and G. Stoltz) Derivation of Langevin Dynamics in a nonzero Background Flow Field, Mathematical Modelling and Numerical Analysis, 47(6), 1583-1626, (2013). (with F. Legoll and G. Samaey) A micro-macro parareal algorithm: application to singularly perturbed ordinary differential equations, SIAM Journal on Scientific Computing, 35(4), A1951–A1986, (2013). (with F. Cérou, A. Guyader and F. Malrieu) On the length of one-dimensional reactive paths, ALEA Latin American Journal of Probability and Mathematical Statistics, 10(2), 359-389, (2013). (with F. Nier and G. Pavliotis) Optimal non-reversible linear drift for the convergence to equilibrium of a diffusion, Journal of Statistical Physics, 152(2), 237-274, (2013). (with F. Casenave and A. Ern) Accurate and online-efficient evaluation of the a posteriori error bound in the reduced basis method, Mathematical Modelling and Numerical Analysis, 48(1), 207-229, (2014). (with B. Jourdain and B. Miasojedow) Optimal scaling for the transient phase of Metropolis Hastings algorithms: the longtime behavior, Bernoulli, 20(4), 1930-1978, (2014). (with G. Fort, B. Jourdain, E. Kuhn and G. Stoltz) Convergence of the Wang-Landau algorithm, Mathematics of Computation, 84(295), 2297-2327, (2015). (avec G. Fort, B. Jourdain, E. Kuhn et G. Stoltz) Efficiency of the Wang-Landau algorithm: a simple test case, AMRX, 2, 275-311, (2014). (with M. Athènes, L. Cao, M.-C. Marinica and G. Stoltz) Free energy calculations from adaptive molecular dynamics simulations with adiabatic reweighting, Journal of Chemical Physics, 140, 104108, (2014). (with D. Aristoff) Mathematical analysis of Temperature Accelerated Dynamics, SIAM Multiscale Modeling and Simulation, 12(1), 290–317, (2014). (with B. Jourdain and B. Miasojedow) Optimal scaling for the transient phase of the random walk Metropolis algorithm: the mean-field limit, Annals of Applied Probability, 25(4), 2263-2300, (2015). (with D. Benoit and C. Le Bris) Macroscopic limit of a one-dimensional model for aging fluids, SIAM Multiscale Modeling and Simulation, 12(3), 1335–1378, (2014). (with E. Cancès and V. Ehrlacher) Greedy algorithms for high-dimensional eigenvalue problems, Constructive Approximation, 40(3), 387-423, (2014). (with F. Casenave and A. Ern) A nonintrusive Reduced Basis Method applied to aeroacoustic simulations, Advances in Computational Mathematics, 1-26, (2015). (with D. Aristoff and G. Simpson) The parallel replica method for simulating long trajectories of Markov chains, AMRX, 2, 332-352, (2014). (with J. Comer, J.C. Gumbart, J. Hénin, A. Pohorille and C. Chipot), The adaptive biasing force method: everything you always wanted to know, but were afraid to ask, The Journal of Physical Chemistry B, 119(3), 1129-1151, (2015). (with C.E. Bréhier and M. Rousset) Analysis of Adaptive Multilevel Splitting algorithms in an idealized case, ESAIM P&S, 19, 361 - 394, (2015). (with F. Nier) Low temperature asymptotics for Quasi-Stationary Distributions in a bounded domain, Analysis & PDE, 8(3), 561-628, (2015). (with A. Binder and G. Simpson) A Generalized Parallel Replica Dynamics, Journal of Computational Physics, 284, 595–616, (2015). (with H. Alrachid) Long-time convergence of an adaptive biasing force method: Variance reduction by Helmholtz projection, SMAI Journal of Computational Mathematics, 1, 55-82, (2015). (with F. Casenave and A. Ern) Variants of the Empirical Interpolation Method: symmetric formulation, choice of norms and rectangular extension, Advances in Computational Mathematics, 41(5), 961-986, (2015). (with H. Alrachid and R. Talhouk) Local and global solution for a nonlocal Fokker-Planck equation related to the adaptive biasing force process, Journal of Differential Equations, 260, 7032-7058, (2016). (with G. Fort, B. Jourdain and G. Stoltz) Self-Healing Umbrella Sampling: Convergence and efficiency, Statistics and computing, 27(1), 147-168, (2016). (with A.B. Duncan and G.A. Pavliotis) Variance reduction using nonreversible Langevin samplers, Journal of Statistical Physics, 163(3), 457-491 (2016). (with C.-E. Bréhier, M. Gazeau, L. Goudenège and M. Rousset) Unbiasedness of some generalized Adaptive Multilevel Splitting algorithms, Annals of Applied Probability, 26(6), 3559-3601, (2016). See [arXiv:1505.02674] for a longer version of this work. (with C. Mayne, K. Schulten and I. Teo) Adaptive multilevel splitting method for molecular dynamics calculation of benzamidine-trypsin dissociation time, Journal of Chemical Theory and Computation, to appear, 12(6), 2983–2989, (2016). (with L. Brochard, E. Cancès, F. Legoll, G. Stoltz and I.G. Tejada) Coupling a reactive potential with a harmonic approximation for atomistic simulations of material failure, Computer Methods in Applied Mechanics and Engineering, 305, 422-440, (2016). (with J. Infante Acevedo) A non linear approximation method for solving high dimensional partial differential equations: Application in Finance, Mathematics and Computers in Simulation, 143, 14-34, (2018). (with G. Stoltz) Partial differential equations and stochastic methods in molecular dynamics, Acta Numerica, 25, 681-880, (2016). (with G. Di Gesù, D. Le Peutrec and B. Nectoux) Jump Markov models and transition state theory: the Quasi-Stationary Distribution approach, Faraday Discussion, 195, 469-495, (2016). (with J. Hénin, A. Lesage and G. Stoltz) Smoothed biasing forces yield unbiased free energies with the extended-system adaptive biasing force method, Journal of Physical Chemistry B, 121(15), 3676-3685, (2017). (with F. Legoll and S. Olla) Pathwise estimates for an effective dynamics, Stochastic Processes and their Applications, 127, 2841-2863, (2017). (with T. Zhao, H. Fu, X. Shao, C. Chipot and W. Cai) The Extended Generalized Adaptive Biasing Force Algorithm for Multidimensional Free-Energy Calculations, Journal of Chemical Theory and Computation, 13(4), 1566-1576, (2017). (with R. Assaraf, B. Jourdain and R. Roux) Computation of sensitivities for the invariant measure of a parameter dependent diffusion, Stochastics and Partial Differential Equations: Analysis and Computations 6(2), 125-183, (2018). (with G. Fort, B. Jourdain and G. Stoltz) Convergence and efficiency of adaptive importance sampling techniques with partial biasing, Journal of Statistical Physics, 171(2), 220-268 (2018). (avec L.Pillaud-Vivien et J. Reygner) Central Limit Theorem for stationary Fleming-Viot particle systems in finite spaces, ALEA Latin American Journal of Probability and Mathematical Statistics, 15, 1163-1182 (2018). (with F. Hédin) gen.parRep: a first implementation of the Generalized Parallel Replica dynamics for the long time simulation of metastable biochemical systems, Computer Physics Communications, 239, 311-324, (2019). The code is available on github. (with L.J.S. Lopes) Analysis of the Adaptive Multilevel Splitting method with the alanine di-peptide's isomerization, Journal of Computational Chemistry, 40(11), 1198-1208, (2019). (with G. Di Gesù, D. Le Peutrec and B. Nectoux) Sharp asymptotics of the first exit point density, Annals of PDE, 5(1), (2019). (with C.-E. Bréhier) On a new class of score functions to estimate tail probabilities of some stochastic processes with Adaptive Multilevel Splitting, Chaos: An Interdisciplinary Journal of Nonlinear Science,29(3), 033126, (2019). (with J-F. Gerbeau, C. Le Bris and N. Ligonesche) Metal pad roll instabilities, proceeding of the 2002 TMS Annual Meeting and Exhibition, Light Metals, p. 483-487, 2002. (with B. Jourdain) Mathematical analysis of a stochastic differential equation arising in the micro-macro modelling of polymeric fluids, CERMICS 2002-225 report, Probabilistic Methods in Fluids Proceedings of the Swansea 2002 Workshop, Eds: I M Davies, N Jacob, A Truman, O Hassan, K Morgan & N P Weatherill, p. 205-223. (with J-F. Gerbeau and C. Le Bris) Numerical simulations of two-fluids MHD flows, Fundamental and Applied MHD. Proceedings of the Fifth international PAMIR Conference, p. I.101-I.105, 2002. (with J-F. Gerbeau and C. Le Bris) Modeling and simulation of MHD phenomena in aluminium reduction cells, Proceedings of the fourth International Conference on Electromagnetic Processing of Materials, EPM 2003, C3-10.4, p. 57-62, 2003. (with B. Jourdain) Convergence of a stochastic particle approximation of the stress tensor for the FENE-P model, CERMICS 2004-263 report . (with B. Jourdain and C. Le Bris) Coupling PDEs and SDEs: the illustrative example of the multiscale simulation of viscoelastic flows, in Multiscale Methods in Science and Engineering, B. Engquist, P. Lötstedt, O. Runborg, eds., Lect. Notes Comput. Sci. Eng. 44, Springer, 151-170, (2005). (with T. Tomasino, M. Le Hervet and O. Martin) Stability analysis of simplified electrolysis cells with Mistral, proceeding of the 2006 TMS Annual Meeting and Exhibition, Light Metals, p. 335-340, 2006. (with J.-F. Gerbeau, C. Le Bris, A. Orriols and T. Tomasino) Linear versus nonlinear approaches for the stability analysis of aluminium production cells, Proceedings of the 2006 ECCOMAS conference. (with J.-F. Gerbeau) Variational formulation of the Generalized Navier Boundary Condition, http://hal.inria.fr/inria-00081751, in Recent Progress in Scientific computing, SCPDE05 conference proceeding, Eds: W Liu, M Ng and Z-C Shi, Science Press, Beijing, 2007. (with Y. Achdou and O. Bokanowski) Partial differential equations in finance, CERMICS 2007-363 report, in Encyclopedia of Financial Models, Ed: F.J. Fabozzi, John Wiley and Sons Inc, 2012. (with F. Legoll and G. Stoltz) Some remarks on sampling methods in molecular dynamics, ESAIM Proceedings, 22, 217-233, (2008) pdf. (with C. Le Bris) Multiscale modelling of complex fluids: A mathematical initiation, in Multiscale Modeling and Simulation in Science Series, B. Engquist, P. Lötstedt, O. Runborg, eds., Lect. Notes Comput. Sci. Eng. 66, Springer, p. 49-138, (2009). To get the Matlab programs, contact me. 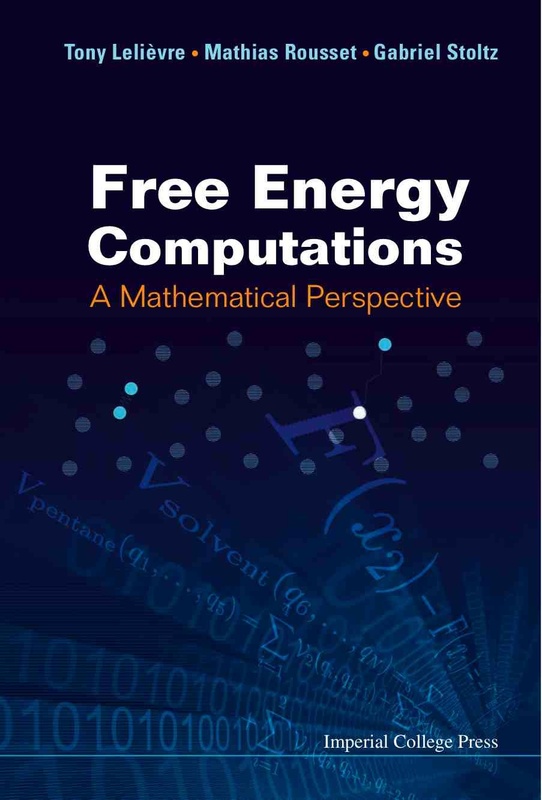 (with F. Legoll) Some remarks on free energy and coarse-graining, in Numerical Analysis and Multiscale Computations, B. Engquist, P. Lötstedt, O. Runborg, eds., Lect. Notes Comput. Sci. Eng., 82, Springer, p. 279-329, (2012). (with C. Le Bris) Micro-macro models for viscoelastic fluids: modelling, mathematics and numerics, http://arxiv.org/abs/1102.0325, Science China Mathematics, 55(2), p. 353-384, (2012). Two mathematical tools to analyze metastable stochastic processes, in Numerical Mathematics and Advanced Applications 2011, A. Cangiani, R.L. Davidchack, E. Georgoulis, A.N. Gorban, J. Levesley, M.V. Tretyakov, eds., Springer, p. 791-810, (2013). (with E. Cancès and V. Ehrlacher) Greedy algorithms for high-dimensional non-symmetric linear problems, ESAIM Proceedings, 41, 95-131, (2013) pdf. (with F. Casenave, A. Ern and G. Sylvand) A nonintrusive method to approximate linear systems with nonlinear parameter dependence, http://arxiv.org/abs/1307.4330 . (with D. Aristoff, C.G. Mayne and I. Teo) Adaptive multilevel splitting in molecular dynamics simulations, ESAIM Proceedings and Surveys, 48, 215-225, (2015) pdf. (with I. G. Tejada, L. Brochard, G. Stoltz, F. Legoll and E. Cancès). Combining a reactive potential with a harmonic approximation for molecular dynamics simulation of failure. J. Phys. : Conf. Ser. 574 012041, (2015). Accelerated dynamics: Mathematical foundations and algorithmic improvements, Eur. Phys. J. Special Topics 224, 2429-2444, (2015). (with C.M. Diop, E. Dumonteil, H. Louvin and M. Rousset) Adaptive Multilevel Splitting for Monte Carlo particle transport, Eur. Phys. J. N 153, 06006, (2017). Mathematical foundations of Accelerated Molecular Dynamics methods, In: Andreoni W., Yip S. (eds) Handbook of Materials Modeling. Springer, Cham, (2018). (with D. Le Peutrec and B. Nectoux) Exit event from a metastable state and Eyring-Kramers law for the overdamped Langevin dynamics, In: Stochastic Dynamics out of Equilibrium, G. Giacomin, S. Olla, E. Saada, H. Spohn and G. Stoltz (Eds), Springer Proceedings in Mathematics and Statistics (2019). (with G. Samaey and P. Zielinski) Analysis of a micro-macro acceleration method with minimum relative entropy moment matching, https://arxiv.org/abs/1801.01740. (with T. Hudson and F. Legoll) Stochastic homogenization of a scalar viscoelastic model exhibiting stress-strain hysteresis, https://arxiv.org/abs/1802.05549 . (with W. Zhang) Pathwise estimates for effective dynamics: the case of nonlinear vectorial reaction coordinates, https://arxiv.org/abs/1805.01928 . (with M. Rousset and G. Stoltz) Hybrid Monte Carlo methods for sampling probability measures on submanifolds, https://arxiv.org/abs/1807.02356 . (with F. Legoll and U. Sharma) Effective dynamics for non-reversible stochastic differential equations: a quantitative study, https://arxiv.org/abs/1809.10498 . (with G. Di Gesù, D. Le Peutrec and B. Nectoux) The exit from a metastable state: concentration of the exit point distribution on the low energy saddle points, https://arxiv.org/abs/1902.03270 . (with Z. Trstanova and B. Leimkuhler) Local and global perspectives on diffusion maps in the analysis of molecular systems, https://arxiv.org/abs/1901.06936 . (with B. Jourdain and P.A. Zitt) Convergence of metadynamics: discussion of the adiabatic hypothesis, https://arxiv.org/abs/1904.08667 . Last update: April 19th, 2019.